Holly and Polish: A Nail Polish and Beauty Blog: Rockstar Pink! 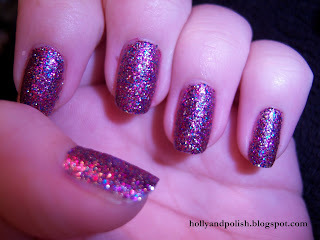 Today for some reason I felt like wearing something super sparkly, so I decided to wear Sally Hansen Hard as Nails Xtreme Wear in Rockstar Pink ! I absolutely love this polish! 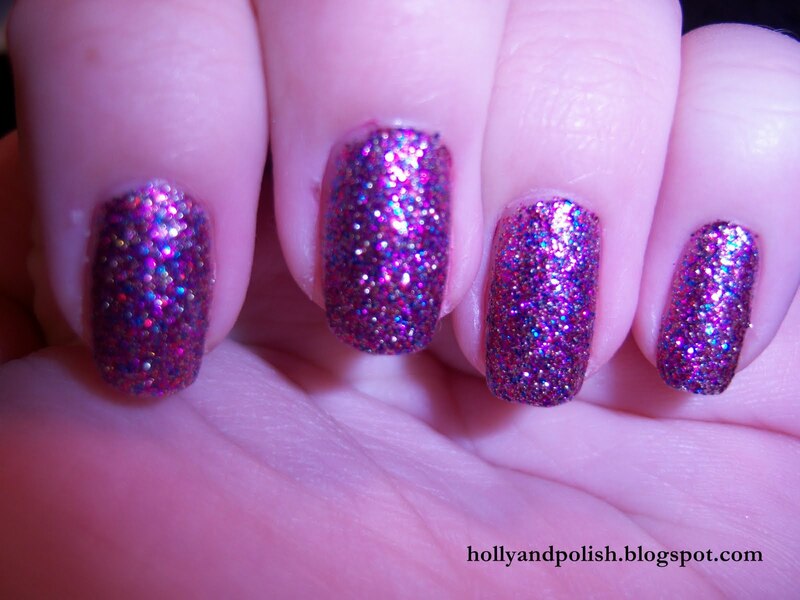 This polish has a bunch of magenta colored glitter, with pieces of blue, red, and gold glitter mixed in. 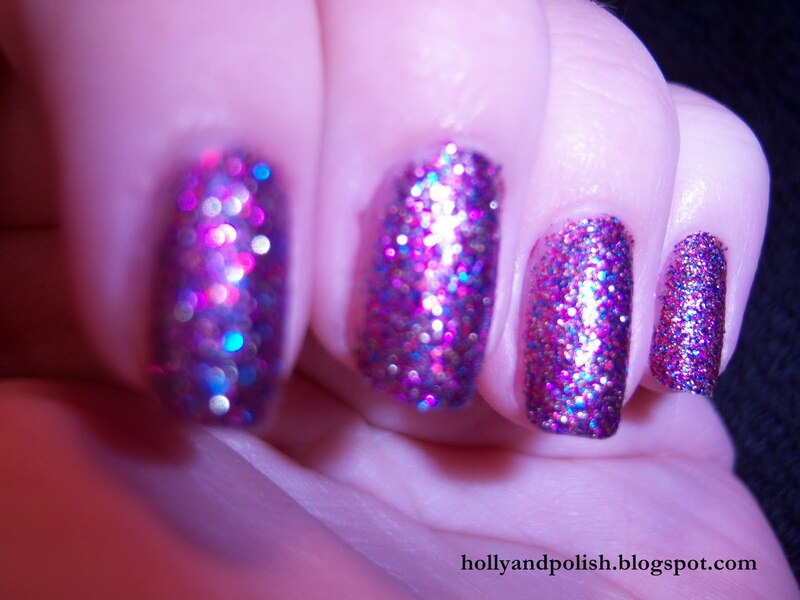 I think that there's a bit more blue glitter than the red and gold.This is something that would look great on top of a lot of different colors, but it only takes about 2-3 coats of this to make it completely opaque. Just a fair warning--this polish does chip, so I would recommend using a good top coat. I purchased this at Target for about $2.75. If you want to purchase this polish, you can pick it up on Amazon. Here's the link! Sally Hansen Time to Shine! Nicole by Opi It's Not Me, It's Blue! Zoya Caitlin with Sally Hansen Disco Ball!